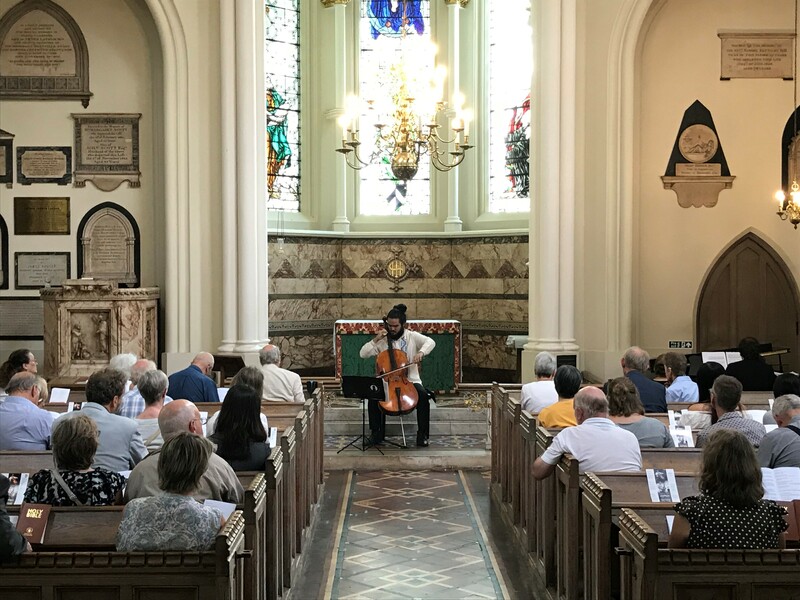 Continuing our relationship with The Hospital Church of St Bartholomew the Less, from Wednesday 19th September we will be presenting CMF Artists in a series of monthly lunchtime recitals, which will run throughout the 2018-19 season. Under the stunning octagonal ceiling of this ancient church (situated within the grounds of St Bartholomew’s Hospital, EC1A 7DS) we will be showcasing some of our newest CMF Artists, many of whom are yet to be announced! In fact, the first recital will act as a launch event for the whole series as our 2018 CMF Artists begin their time on the scheme. Recitals from November 2018 to April 2019 will be announced in September 2018. The first recital on Wednesday 19th September will be given by mezzo-soprano Lotte Betts-Dean (2017 CMF Artist) and guitarist Andrey Lebedev (2015 CMF Artist). Alongside flourishing solo careers, this acclaimed duo perform together regularly around the UK and beyond. After performing at the 2017 Buxton International Festival the duo were hailed by The Guardian as, “an unexpected highlight”, and praised for their “irrepressible sense of drama and extraordinary self-assurance”. In recent seasons they have also performed at Gower Festival, Lewes Festival of Song, Brickwall Music Society, and toured their native Australia taking in Melbourne, Sydney, Adelaide, Canberra, and Mildura Summer Festival. Their programme will include songs by Dowland, Britten, Brett Dean, Manuel de Falla, as well as some toe-tapping ‘bossa nova’ tunes. On Wednesday 17th October harpist Gwenllian Llyr (2017 CMF Artist) gives a solo recital showcasing music by Welsh composers William Matthias, Haldon Evans, and Grace Williams, as well as Debussy, Scriabin, Liszt, and French harpist/composer Henriette Renié. A former prize-winner at the USA International Harp Competition, Gwenllian has performed at prestigious venues such as Carnegie Hall and St David’s Hall. After graduating with first-class honours from the Royal Welsh College of Music and Drama, Gwenllian moved to New York to study at The Juilliard School, where she awarded the William Schuman prize for outstanding achievement and leadership in music. She was later the first to complete an Advanced Diploma in Harp at the Royal Academy of Music in London. Join us on Wednesday 19th September for the launch of this new series and the first recital. All recitals are free with a retiring collection.